Nothing like a Man in a Suit!! Today a blockbuster “Think like a Man” will be hitting movie theatres all across the country. The title I am assuming is advising women to “think” like a man. Really, wow! That is good advice and I know our smart ladies will take it, however some of our men could learn a little on attire from us dapper ladies. As I have mentioned previously; I love a well-dressed man! So, having said that I just had to throw some examples up to inspire our men to dress like Men!! What makes a man’s attire HAWT to you! 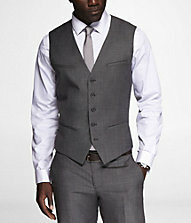 Do you think a man’s attitude changes when he dresses better? The models up top have on Giorgio Armani and the model below is wearing Express! Can you say HAWT!! The model below has a Calvin Klein suit on (love it). Toodles and once again this is Shannon, your fashion accessory signing off. Have a great weekend! ← Blue is for Believe! Take a peak at this season’s sexiest blue shades! I imagine that similar to women, men also feel the part when they dress the part. I love men in well fitted suits – I am sure this helps them to feel amazing too. Oh yes I totally feel like a million bucks in a nice suit or a nice outfit so I could only imagine how a man feels. I wonder if they feel as good as we do? lol! Thank you for responding to me and have a wonderful rest of your week. By the way could you give me some tips on how you make your website/ blog really great?! I would really appreciate it.